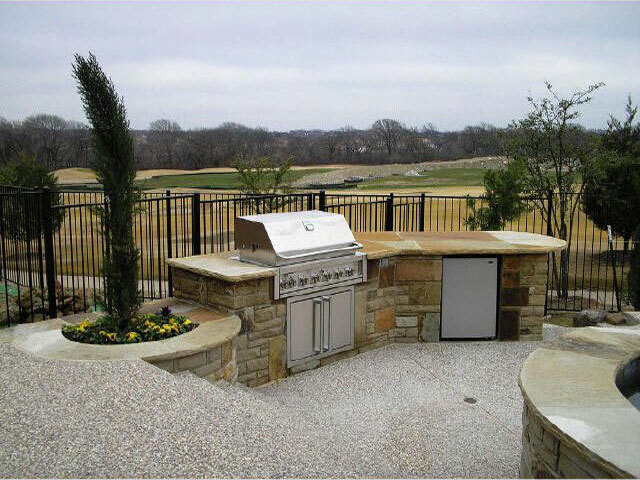 Whatever space, function, or budget you have, there’s always a smart solution for your outdoor kitchen needs as these outdoor kitchen projects show. 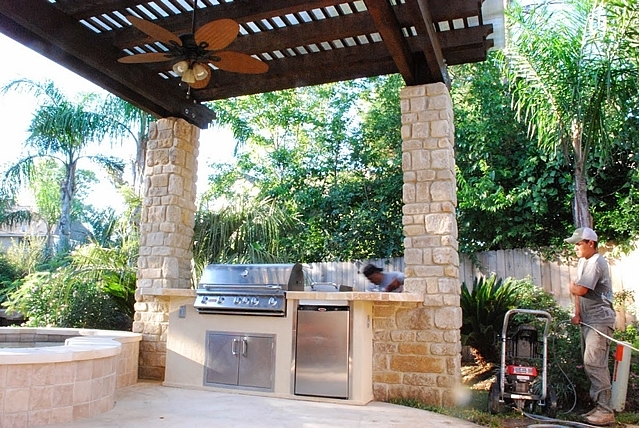 Draw inspiration for beautiful but affordable outdoor kitchen additions from our list of completed outdoor kitchen projects below. For those who want the basics, this minimalist outdoor kitchen layout will work the best for you and your home. With a simple stretch of kitchen countertop fitted to host the stovetop of your choice, a sink and an ice box. Installing the basics of a kitchen will have you cooking an outdoor feast in no time. 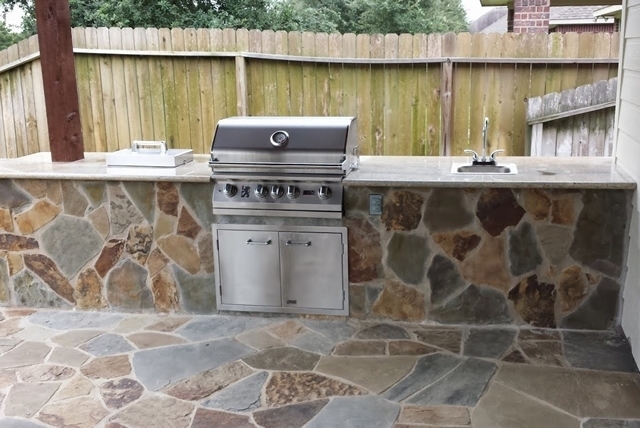 Most homeowners worry about space when it comes to refurbishing their patio for an outdoor kitchen. 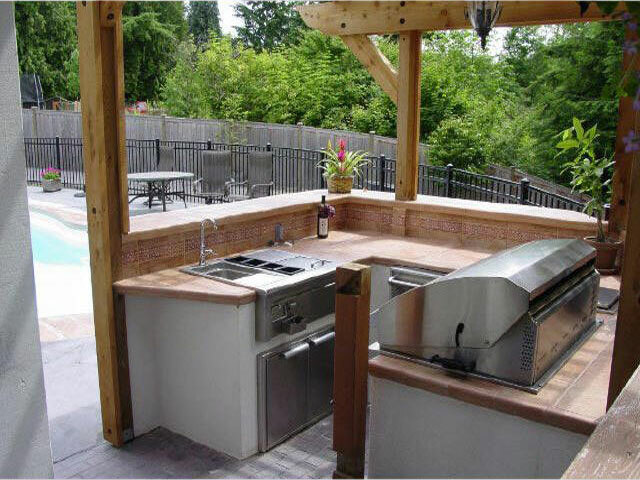 But as this project shows, clever use of space will give you a complete outdoor kitchen section without sacrificing too much space. As they say, it’s all in the planning. 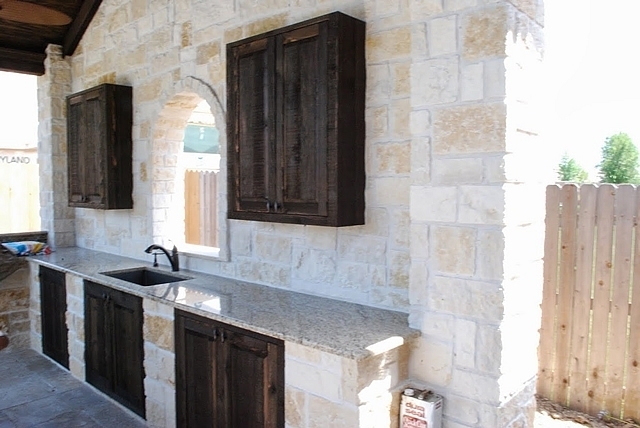 If space is a concern and there’s a prime location, in this case – a wall, which just begs for some improvement, then why not make it a more functional space in the form of an outdoor kitchen. Complete with shelves built into the wall and a spacious countertop, get a spacious outdoor kitchen that’ll serve your entertaining needs. Make your swimming party more epic with food cooked and served by the poolside. Avoid making a puddle indoors when you come to get food by having your kitchen right beside the pool. Now, you can have a luau party anytime you want! If you love entertaining family and friends for a get-together but feel like your indoors are too constricting, then having an outdoor kitchen allows you more freedom to do both at the same time. An outdoor kitchen which is as open as it gets, you won’t have to worry about the crowd size and still ensure you’d be able to socialize with everybody.